Is a family business which dates back to 1962 when the Pon family initially established it in the 1100 block of 1st Street South in Nampa, approximately where the Elks Club is located today. In 1968, because of extensive damage resulting from a fire at that location, the Hong Kong was moved to the 100 block of 12th Avenue South where it took the place of the Harmony Restaurant. 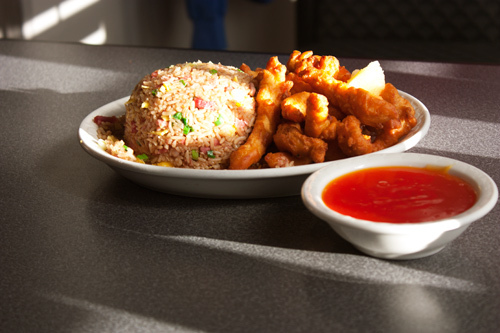 Always looking for a way to better serve the public, the Hong Kong Restaurant began a local delivery service in 1995. In 1996 the Hong Kong expanded when it purchased the property formerly belonging to Nampa Floors and Interiors. Later in 2003 a full service bar and lounge opened. The Hong Kong Restaurant specializes in various Chinese dishes but primarily those of the Cantonese style. It has been voted by the people of Canyon County, through the Idaho Press Tribune, as Favorite Chinese Restaurant every year since 1999.